Note: Over 8 sets, build to your maximum potential. Go as heavy as possible on all three lifts. Use the rest between sets to add weight to your barbell. Compare today’s lifts and weight to May 16, 2016 and June 20, 2016. 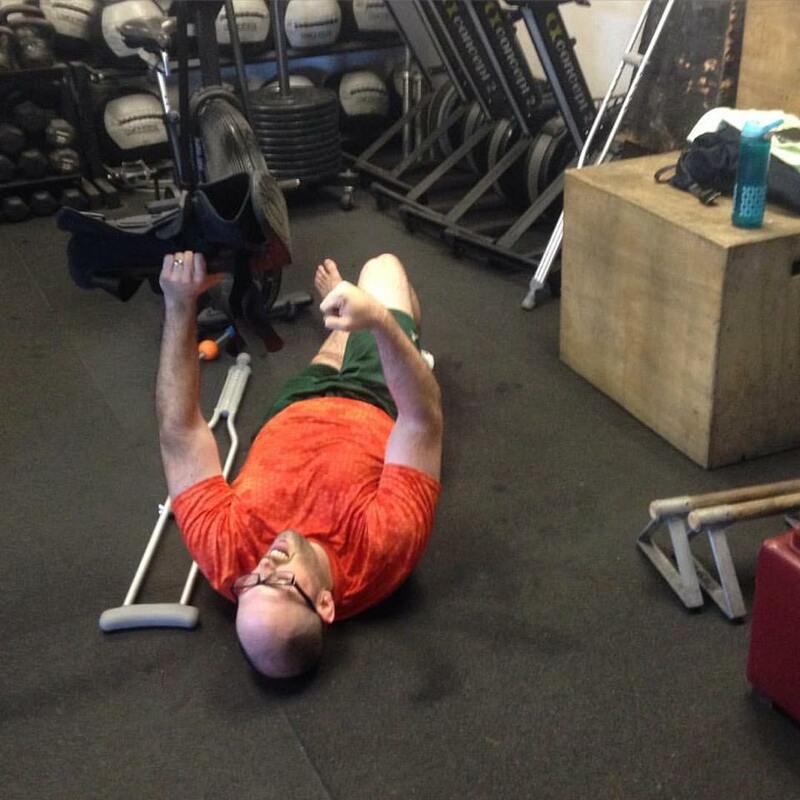 This is what dedication looks like: Following an ankle injury during a volleyball game, Mike returns to the gym determined to maintain his work capacity. Today’s session was one-legged Assault Bike, Push-ups and Pull-ups. Now that is inspirational!